Best Products to Sell on eBay for 2017! For years people have been looking for those perfect products to sell on eBay, and in 2013 I wrote a guide on exactly how to find them. As expected, it quickly became one of the most popular posts on my blog. Fast forward to 2017 and I think it’s finally time to update this guide to include all the latest tips and tricks to help you find the BEST products to sell on eBay. I go into a lot of detail though, so I suggest you get yourself a cup of tea and really dig in to this lengthy post. What to sell on eBay? This question has been asked MILLIONS of times but there still isn’t a simple answer. Well, I could tell you to sell iPhones and iPhone cases as they’re hugely popular on eBay BUT that would be bad advice, very bad advice. Popular does not always equal BEST, or even profitable for that matter. If you take a look at the iPhone case market on eBay for example, you can see that it’s over saturated with thousands of competing sellers, offering basically the same products for very low prices. Margins on these cheap cases are less than 50p per case, often just 10p or 20p. Now, can you imagine running a profitable eBay business making just 10p profit per processed order? It’s really not worth the effort! To make £10 profit, you would have to process 100 orders. That’s just ridiculous. Another aspect of such over-saturated markets is the presence of Chinese and Hong Kong based sellers who are in fact more than happy to make that 10p profit per order. I’m afraid that’s not gonna happen, sorry. 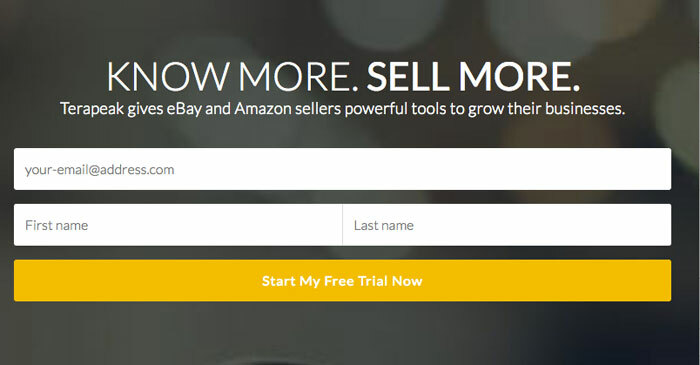 No one will tell you – sell product X and product Y on eBay and make millions! Why would they? To reveal their best sellers? To give you everything on a plate after they’ve done all the research? As much as I love my blog readers, it would be “business suicide” to start publishing the best products that I’ve found from my own research and testing. Not only would I suffer hugely by sharing this info, no one would really gain anything anyway. I mean just imagine the situation where tens of thousands of people are given a list of profitable products to sell on eBay – everyone would start competing and before you know it prices (and profit margin) will be driven to the ground. It wouldn’t do any good for anyone. So instead of just giving you false dreams, I will give you something better. Instead of the fish, I will give you a rod and teach you how to fish! Like this, YOU can learn to do proper market research and find these profitable products to sell on eBay for yourself. Before we get started, you have to get rid of the mindset of asking/looking for miracle products that will make you rich on eBay. There’s no such thing. What you should instead do is get into the RESEARCH mindset and simply execute my step-by-step formula for finding profitable products to sell on eBay for your start-up business. While common sense is still your best friend through every step of this research process, with the help of some software available nowadays, you really don’t have to be that bright or creative to find solid products you can sell for profit on eBay. So in today’s post I’ll share with you the exact strategy I’ve used countless times to find profitable products to sell on eBay (and not just eBay!). IF you follow this system, you’ll make money on eBay! Yes, it’s a bold claim BUT I’ve been doing this for more than 10 years now and have personally helped hundreds of people to find products to sell on eBay via my 60 Day Blueprint Program plus thousands more via my Easy Auction Business course. Trust me when I say – THIS WORKS! Before we get started – a quick side note. This system relies on identifying proven sellers. I do not use the “inventor’s approach” here. What’s the inventor’s approach? It’s when you try to come up with your own products from scratch. It doesn’t mean it can’t work BUT if you want to get your own product to market, be ready to spend lots of money on advertising and even then – the risk of it being unsuccessful is still very high. If you do want to go down this route, this guide most likely won’t be suitable for you. I’m not talking about OEM or slightly modified products – these are totally fine and you can still research such possibilities using the system covered in this post! And I will even guide you on how to get this done for FREE. But I won’t cover inventing brand new products in this post as such – as for me it’s just not the optimal selling approach. Ok then, let’s get started! This is how you find profitable products to sell on eBay…. The first step of this process is to gather product ideas. Just brainstorm – any random product ideas you can come up with! Don’t think about how good or bad an idea it is, just compile a list of as many possible products to sell as you can. It’s super important to SEPARATE product brainstorming from the steps that follow! I have worked with many people who get completely stuck on this phase because they start analysing each idea they come up with. And this puts a block on your brainstorming and slows everything down – the opposite of what we’re trying to achieve at this point. For some people it even gets to the point that because of their analysing and overthinking they’re unable to come up with any new product ideas at all! Simply brainstorm product ideas and DON’T even spend a second further thinking about what you come up with – simply write it down and move on! With my years of experience and naturally creative mind, it’s super easy! And you can do the same – just start looking AROUND! Look in your house, on the street, in a bar or restaurant, at school, the gym, your workplace. Everywhere you go you see hundreds of different products that could potentially be good sellers on eBay. Pick any lifestyle, tech, hobby or how-to magazine from your local newsstand and you’ll find plenty of product ideas inside. Pay close attention to the ads you see as many popular, hot products will be advertised there. If you have an Amazon Kindle or iPad with Kindle application, you can get many such magazines for free with trial subscriptions so it won’t cost you anything. The best magazines are the ones that concentrate on specific niches, like hobbies or cooking or crafts and so on as they will have info on hundreds of little known, niche-based products. But even popular hi-fi or gadget magazines can be good for this task, especially if you’re into electronics and want to find out about the latest hot products. A super easy way to find thousands of potentially good sellers! On Amazon, you can narrow down categories and sub-categories and in each see the best-selling items, which are updated in real time. These items will most likely also be popular on eBay but as I said – don’t over-think the products at this stage. Just get them written down. Did you know that on Alibaba.com there are SEVERAL THOUSAND product categories and sub-categories, each carrying hundreds and thousands of different products… just by browsing these you’ll find plenty of product ideas. This is one of my favourite ways to find products to sell on eBay as Alibaba categories are structured in such a way that you’ll easily find suppliers there too, something we’ll cover in detail later on in this post. While on Amazon many items in the bestseller lists will be branded products, on sites like Ali Express, all top selling items will be un-branded. This means that they’ll be suitable for importing from China by default. This is a QUICK & EASY way to get hundreds of product ideas, do not skip it! Every year around Xmas, Mother’s Day, Valentine’s Day etc. various online sites publish top gift lists. 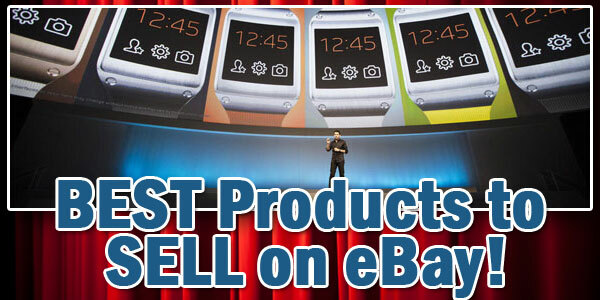 These are good indicators of trendy, new & hot products that will most likely be in high demand on eBay. These are all good, very easy to use and FREE ways to find products for your list. If you have more time on your hands and are generally more adventurous, my absolute BEST way to find products to sell on eBay is attending TRADE SHOWS! Yes, same old boring trade shows, right? There seems to be a common misconception that these shows are just for industry professionals, which is not the case at all! Almost all trade shows are open to the general public and most of them are even free to attend! If you stick with large, reputable trade shows, you won’t be disappointed, trust me. In one place you can meet/see hundreds of suppliers/distributors/manufacturers offering thousands of products! And as most people are lazy (by nature), if you take this extra step and go to these trade shows, chances are that you’ll be amongst the first people to see these products. You can read more about trade shows in a separate guide I wrote here. Lastly, and while this may sound a bit too extreme for some, attending some of China’s largest trade shows may even be an option, especially if you can combine it with a holiday! Ok, these are all “manual” product brainstorming methods and work great as long as you have at least a small bit of creativity trapped inside your head. But what if you can’t come up with many products this way? Is there a more automated way of getting this task done? Let me introduce to you Terapeak.com – the world’s best, most advanced eBay research software. I will be using Terapeak throughout this post to show you some of the various features it has and how you can copy exactly what I do to find those profitable products to sell on eBay. However I won’t cover the basics of how Terapeak works, as I’ve created various Terapeak tutorials for that here. For the product brainstorming stage, we’ll use Terapeak’s HOT RESEARCH function. 1) Hot Categories – this view shows the most popular categories and sub-categories based on their sell-through rate. Very handy if you’re not only looking for a few products to sell on eBay but rather to start a niche based business where you concentrate on one specific product category. 2) Hot Media. If you want to sell media items such as DVDs, Blu-rays, video games, audio CDs or books, this is a MUST HAVE function! It will show you the current best-selling media items on eBay with sell-through numbers (which are very important when dealing with media items). This function can also be used if you start your eBay business following my Used Goods concept. 3) Popular Keyword Searches – this is similar to eBay Pulse (discontinued) where you can clearly and easily see what keyword phrases are most popular on eBay. 4) Best Selling products – this is my FAVOURITE Terapeak function! So if you set sell-through from high to low and items sold from high to low, you can easily identify hundreds of products that have a super high sell-through rate and are selling in large quantities on eBay. While the minimum sell-through rate I recommend is 50%, using this function you can EASILY find tons of products with a sell-through rate of 70%, 80% and even 90%+! AMAZING! 5) Best Selling Titles – this is somewhat similar to the best-selling products function but even better! In this view you can see the EXACT listings which generate the most sales, the best sell-through rate, the highest average price or bids. You can sort the data by any of these filters to see the results how you want. I hope you can see how great Terapeak is and how easy the product research process becomes when you have it. I’ll also be using Terapeak in later research stages so I highly recommend you get an account. There’s a FREE 7 day trial available so there are NO EXCUSES to not sign-up! I’m sure you’ll love it so much that even after the trial ends you’ll want to keep it for a month or two at a minimum, while you do a full product research cycle. Ok, after finishing this step, you should have at least 20-30 product ideas (ideally more) written down. The more the better really! The number of potential products you end up with on your list shows how dedicated and serious you are. Lazy people will quickly gather the minimum needed (20) and move onto the next step while people who are really hard working and want the absolute best results will come up with 100+ ideas. I really hope the majority of you are in the second group. Remember – on this first stage you just gather product ideas! NO NEED to think about how good or bad they are! Just come up with as many as you can and write them down so you don’t forget any. This spreadsheet also has additional fields for data which we’ll gather in the next step…. When you have compiled your potential product list, it’s time to get some numbers behind them! I wish I could tell you something else but in reality, Terapeak is the only tool that can give you such data on demand. You could of course try to manually count sold items, listings etc. via eBay’s advanced search but it will take you days if not weeks. Why do all that work and get inaccurate results when you can simply use Terapeak to get the same job done with the click of a button? Exactly! Work smart and not hard! What is Terapeak and how does it work? Terapeak.com is an online based software which means that you don’t have to download anything on your computer, deal with software compatibility, updates etc. All of that is taken care of for you and you can access your online account from anywhere in the world, including smartphones and tablets. Terapeak is a subscription based service with a monthly fee. The good news is that you don’t have to commit to any long term contracts – you can use it for as long or as little as you need. PLUS there’s also a FREE 7 day trial available which allows you to check it all out before you make any payments. I can’t stress enough how important it is to get a Terapeak account. Without it, you’ll simply be guessing about whether or not a product has real potential. Do you really want to GAMBLE on the basis of your business? I didn’t think so. Ok, once you login to your Terapeak account, you basically want to use the main Product Research function (located in the Research tab from the top/main menu) and research EVERY product you have on your list. Type the product name and hit that Go button. 1) Narrow down the category to the most suitable one for this particular product to ensure you get as accurate results as possible. 2) Use the NEW only filter to show results from listings for new products only. Why do this? To filter out all listings related to used goods as those will alter your results. Terapeak allows us to select what period of time data is collected from. From just 1 day to the past 90 days + custom data ranges which can go beyond that point – up to 1 year. I personally have always used the 30 day term (one month) as for me it’s easier to calculate everything based on that. So all figures in this post are based on 30 day research data. That doesn’t mean you can’t use other settings, you can – just make sure to adjust your calculations accordingly. 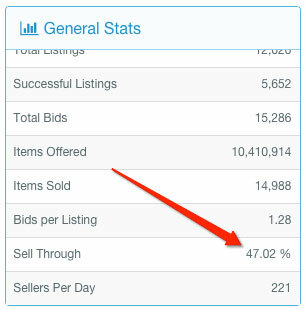 This number shows what percentage of total listings ended with at least 1 sale. If it’s a GTC listing, it needs just one sale in the last 30 days to count towards this indicator. The sell-through rate is in my opinion one of the most important numbers for indicating a potentially good niche. As a general rule of thumb, anything above 50% is considered good at this point though ideally it would be 60%+. If you see a product with a sell-through rate of 80%+, that’s a good sign you have found a product with great demand. While there are always exceptions, I wouldn’t really consider a niche if the sell-through rate is 40% or less. But remember, at this stage we’re only gathering data. Just get the sell-through rate for all items on your list and write it down in your spreadsheet. This shows how many different sellers are competing for any given keyword/product. This number is very approximate and doesn’t really tell us much about how good a product is but still; add it to your spreadsheet so it can be used for further evaluation in the next step. This shows the total amount of sales generated over the last 30 days for a particular item. So in essence this shows us how big the market is. While in theory this should give you a good idea on what your selling price should be, in reality it’s wildly inaccurate. This number takes data from ALL listings – good and bad, correctly priced and over-priced, and just shows the average. In the next step I’ll show you how to get the REAL price for a product you plan to sell. But as you can see in my example spreadsheet template, I have added a fifth column called – Target Price. What is target price? This is the actual price you plan to sell your item for. Not the average, lowest, or highest but your target price. Terapeak won’t give you this. You get your target price by doing a manual search on eBay and checking out the first page of results. This is where you’ll find your target price. What you do is look at good looking listings from TRSs that are on page one for the same product and write down the average price you see there. The logic behind this is very simple – the first page is where you eventually want to end up and those are the actual going prices on eBay for this item. But don’t just look at the first listing in your search! Quite often there you’ll see some underpriced stuff being sold by major sellers. You want to check out the whole first page and take into account all listings to come up with a target price. Use common sense. Think for a minute about how you could make your listings look better, maybe offer some added value or a bonus so you can charge one of the highest prices on the first page. Don’t forget that the quality of products can vary greatly. The same item can be selling for different prices because of a difference in quality. Materials used, warranty, style etc. all are factors in the price. But even if you only get an approximate target price, that’s good enough for this research stage. Lastly, there’s a 6th number in my spreadsheet – Sales per seller. Sales per seller will be automatically calculated for you if you use my spreadsheet but just so you know how it works – this number is created by taking the total sales for the product for the last 30 days and DIVIDING it by the number of sellers. For example – if the product you’re researching has total sales of £100k over the last 30 days and there are 50 sellers per day, sales per seller comes to £2k. I came up with this added data point as a great way to properly gauge the overall competition for any given product. In step 3 you’ll learn how to implement this number correctly but for now – just so you know – the more sales/money per seller you get, the better. You have to understand that Terapeak isn’t run by eBay – they’re partners, yes, but this service is not owned/run by eBay. Terapeak bases most of the results on LISTING TITLES. This means that if you search for a product “dog name tag”, Terapeak will show results and data from ALL listings having “dog name tag” in listing title. In 99% of cases this works very well AS LONG as you use the correct keyword (product name)!!! One of the most typical mistakes newbies make is to search using overly long keyword phrases, like “metal id tag for big dogs”. This is far too specific a search phrase and you won’t get accurate results. What you want to do is search for the product name – generic phrase, like “dog name tag” or maybe even “dog tag”. This search phrase will cover ALL listings selling “dog tags” as any listing selling this product will have “dog tag” in the listing title, right? So rule no.1 – don’t be too specific with your search phrases! Another classic mistake people make is using singular and plural forms incorrectly. For example – if you research men’s socks, you’ll want to search for “mens socks”, right? YES! As customers would also search for “mens socks” on eBay and NOT “mens sock”. On the other hand, with the same dog tag example – most likely people will search for “dog tag” as they need just one piece. So in this case you would use the singular form. You just have to remember that you want to use the same form that most of your potential customers would use. If they usually buy just one product, it will be singular form, if multiple – plural. To be 100% sure you’re getting correct results, you can do a Terapeak search for both versions and see whether the results differ much. If they do, go with the phrase that has the highest Total Sales number as that version will be the one most sellers use. There are many filters available in Terapeak BUT I recommend just sticking to the NEW item filter, to get rid of listings for used products. Don’t touch any other filter like seller country or listing type, as that will affect the results and mess up our next step. Apart from using the NEW items only filter, I also recommend narrowing down your research to the most suitable category BUT you have to be careful when doing this as some products are listed in many different categories (multi-purpose products) and if you narrow down too much, again, you’ll get inaccurate results. Obviously each and every situation is different – it could be a multi-purpose product but you know exactly which version, for which market, you want to sell. Then just use that category and narrow down the results so you get data for YOUR potential market and competition. Ok, once you have Terapeak data for all the products on your list, it’s time to separate the good from the bad using my own Filter system! This step is more time consuming but it’s CRUCIAL to get this part done! The more accurate your research here, the easier the last step will be. Delete any products with less than a 50% sell-through rate UNLESS total sales are large with very few competing sellers (a rare occurrence). For example you see that the sell-through rate is only 45% but total sales is £25k for the last month with only 6 competing sellers. This could indicate that there’s maybe one or two good sellers doing a great job milking the market and others are amateurs who can’t properly sell their items. These situations will be rare BUT they can happen. This will obviously depend on your buying power and future plans. But in general, if the total sales for a product is less than £10k per month, it’s not even worth looking into it any further UNLESS there are very few sellers and a sell-through rate of close to 100%. In such cases you could still consider selling this product as there is very little competition. For example – there could be a product with total sales of just £7k for the last month BUT with just 2 competing sellers and a 100% sell-through rate. This clearly indicates that while the overall market is small, the competition is very small as well. So if you have a small starting budget to invest in stock, this could be a good product for you. But in most cases, you’ll simply delete any products on your list with total sales less than £10k per month as they will be very small niches with small demand and limited future growth potential. If you use my spreadsheet, this number will be calculated for you automatically. 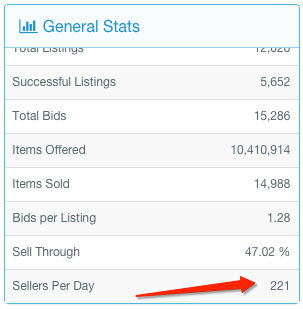 If not simply divide Total Sales by number of sellers per day (you have both numbers from Terapeak). Anything below £500 per seller is no good and ideally you should look for products with at least £1k in sales for each seller over the last 30 days. If there are products with £2k+ per seller per month, these are very strong picks and potentially ones you’ll want to concentrate on in further research. Most people reading this post won’t have tens of thousands to invest in stock and for that reason, you want to stay away from very competitive niches. This almost always means eliminating products that have 100+ competing sellers per day. More sellers means more listings in search results for you to compete against so ideally look for products with the smallest amount of competition possible. After doing these simple mathematical evaluations, you’ll lose a large portion of your product ideas and that’s totally fine. That’s the goal here – to find the absolute BEST products to sell on eBay! Products that are almost guaranteed to sell and make money for you. The next step (a MAJOR one) is to evaluate your buying power and find how suitable each of the items you researched are for you personally. While there are no exact formulas to share with you here, in most cases you’ll want to multiply the product’s price by at least 100. Why x100 and why target price? Again, this is an estimate but with most items, the minimum order quantity (MOQ) if you want to order from manufacturers directly in China will be 100. For cheaper items this number can be as high as 500 or even 1000 and with more expensive items – just 10. But we use 100 to get an approximate estimate. And the reason we use the target price is to essentially have a worst-case scenario once shipping costs and taxes to bring the product from China to the UK (or any other country) are included. But please use your common sense here and don’t filter out all ideas that exceed your buying power. It could be that you can find a good trading company with low MOQs and decent prices and still be able to sell this item. The purpose of this step is only to filter out items that are completely unviable for your buying power. For example, you have tablet PCs on your list that sell for £100 but your buying power is just £500. In cases like these, you can forget about selling such products as your buying power only lets you buy a max of 5 such tablets. That’s not wholesale and you’ll never be able to compete in this market. As it’s a cheap product, you would multiply that by 1000 to get an estimated required buying power of £2k.. But it could actually be less as cheap products selling for just a few quid on eBay are often sourced from China for 10-50p. So it could be that you can still buy 1000 pieces but for just a few hundred pounds. Again, common sense is your best friend here – if you find a good product, but you can’t calculate your buying power properly, get in touch with a few suppliers to find the REAL price and minimum order quantity for this item in China (we’ll talk more about this later on). Storage space. Evaluate your available storage space and whether it’s suitable for the goods you plan to sell. If you don’t have a spare room in your house, you’ll want to stick with small items only. If you’re ready to take some risk and rent out a self-storage space, you can of course consider bulkier items. Seasonality. There’s nothing wrong with seasonal items but still, they do carry more negatives compared to products that sell well all year round. With seasonal items you always have the risk of having a large amount of unsold stock left over when the season ends. Also, make sure for such items that you do more extensive research using Terapeak and go back 90 days+ to see exactly how big the market and competition is. I usually recommend staying away from heavily season-based items (like Christmas trees for example). If you suspect that a product you’ve researched is seasonal, simply use Terapeak and get our 6 numbers (total sales, sell through rate etc.) for the LAST 12 months, month by month. Then you can easily see how much fluctuation there is in the monthly sales, depending on the time of the year. For example – baby movement monitors – it’s a product that (as the name suggests) monitors a baby’s movement and tries to detect when a baby stops breathing. Parents, when buying an item like this, won’t even look at cheap Chinese models as they want to be 100% sure the product will work perfectly and will therefore only trust well known brands. Or high end electronics like TVs, smart watches – people are looking for well known BRANDS when purchasing a product like this. Sure, there will be a small % who will go for unbranded/Chinese versions but they will be the minority. Filter out any such products from your list. Offline availability. The more difficult it is to buy an item locally, in a B&M shop, the higher online potential it will carry. For example – when a person needs one pack of A4 sized printing paper for home use, he will just buy it from a local office stationary store or even a supermarket. On the other hand, if a person needs water decal paper, which can’t easily be bought locally, internet/eBay comes into play as the favourite place to order such items. Sure, if an item sells like crazy on eBay, this won’t matter that much! But what I have found is that items that are easily available offline carry very small margins and, generally, are not worth dealing with. So with that in mind, try to stay away from products that can easily be bought offline from major retailers and supermarkets. Google Trends. Check Google Trends to see whether the product is increasing or decreasing in popularity. A bad example with decreasing popularity: “kindle light” – this was a huge product online a couple of years back, but now that Amazon sell a backlit Kindle you can see a clear drop in search volume. You can of course still sell products which are decreasing in popularity but you just have to be aware of the fact that the same number of sales may not be there in a year or two. So not ideal for long term planning or if you intend to expand into product-related niches later on. Knowledge. Ideally you should have some basic understanding of what the product is, how it works etc. This will help you greatly when writing product descriptions and dealing with customer support requests. It’s not like you have to be an expert to sell an ordinary item, not at all. You can always read up on a product and within a few hours have a basic understanding of the most important points. What this step should do though is filter out items that are really complex and require a much deeper knowledge. For example, it wouldn’t be a wise idea to sell electronic components if you have no understanding of electronics whatsoever. Just write down some quick comments in this field so later on you can possibly use it to choose between some different products that have passed all the other stages. When you finish this rather time consuming task, you’ll end up with a small list of items with the best market potential that are most suitable for your buying power. When you do, you can move on to the last step which is…. Yes, the last step of this process is to actually get prices from suppliers, see if your buying power is really suitable and most importantly, find out your potential profit for that product. 1) Go to Alibaba.com and search for your product. 2) Find the best suppliers using these filters. 3) Contact them – get prices and terms and then negotiate the best possible deal. 4) Put together a virtual order and get a shipping quote from Woodland Global. 5) Put all costs in the Excel spreadsheet and calculate potential profits. When you do your calculations, don’t forget about VAT and import duty. You can read more about this in my importing from China guide. After doing this, you’ll end up with the product’s COST price. This is the total price you’ll pay to import the product and get it shipped to your address. Then you have to find out how much postage will cost plus add eBay/PayPal fees and you’ll instantly see the profit potential for this product. Remember, you have already established a target price and if you can’t match it with all costs and your target profit taken into account, then that product is not suitable for you (most likely because of your buying power or that there are too many competitors). Ideally you want to look for items with a ROI of at least 20-30%. But again, this will vary greatly based on the product’s price as with higher priced goods, margins will be smaller. Here you have it – a step by step guide on how to find profitable products to sell on eBay! No more excuses and no more lame questions on “what to sell on eBay?” No one will tell you that! So get yourself a Terapeak subscription and start WORKING on this now! In my opinion Terapeak is really a godsend for any serious eBay seller – I use it all the time to research new products, spy on competition and write keyword rich listing titles. You really can’t live without it in 2016 as most of your competitors are using it! If you don’t, you simply put yourself at a huge disadvantage right from the beginning. Remember, there’s a 7 day free trial available and no long term contracts in place – simply sign up and use it for as long as you need! This is a simplified guide but I have tried to cover the most important things you have to keep in mind when looking for new products to sell on eBay. There are of course MANY other vital factors you need to learn about in terms of product sourcing, rebranding, selling etc. etc. It’s a complete, 15 hour+, step by step VIDEO COURSE that will teach you how to find the best products to sell on eBay AND Amazon, how to source them properly & safely, how to create your OWN brand and put it on your products, how to take amazing product pictures, how to get top rankings in eBay’s search results and much much more. PLUS you get some amazing bonuses with the course, such as FREE membership to the exclusive EAB forum, access to more than 1,000 pro eBay templates, and a 1 hour chat session with ME! Yes, you get 60 minutes of one on one time with me to help you with any questions you may have. I truly believe that Terapeak and Easy Auction Business are the two best investments you’ll EVER make in your business. I am now using Terapeak to research for good items to sell in eBay as you shared here. But I found that there are Product Research & Product Research 2.0 in Terapeak now. I tried the same keyword and seen to give different results and data. The sell through rate is completely different. Which one should we use now? The method you shared here is based on Product Research. If we have to switch to Product Research 2.0, can you share more on how to make use of 2.0 to get good items to sell? Maybe you’re using wrong keywords to find them? OR maybe you’re looking for branded goods? Branded goods you can’t source from China, forget about it – you’ll either get fakes or get scammed. China is only good for un-branded/your own brand goods. I’ve followed you on and off through the wholesale forums and now your own website and i have one question really and i hope it can be answered honestly. I don’t sell on Ebay anymore and wish to get my own site started and have an idea on how to drive traffic through directory listings, adwords, free advertising and so on. My main gripe i think is i don’t think people should be encouraged to sell anymore on Ebay, can you honestly answer and say it’s easy to get any decent profit anymore when your suppliers are trading on ebay, wholesalers and Chinese wholesalers and even the UK wholesalers of your own items. Let me expand, i know you always say to ignore them, but look at the mentality of the buyer, it’s a cheap item, and if they get tired of waiting they can open a case and most of the time ebay will close in favor of the buyer as there is no tracking on these low value items. Then comes the new seller, trying to sell at a realistic price for profit and he can’t make sales because buyer expectations say he’s too expensive when you can get someone else i.e. chinese or chinese wholesaler with a uk warehouse to sell the same item much cheaper. Then there’s Ebay’s hikes on shop prices, final value fees, these people have access to the items at the lowest possible prices and just about every niche coming out, so you try to be creative except bam, chinese wholesaler again, or chinese wholesaler with a UK warehouse. Wouldn’t it be better to actually get someone to make your own items rather than competing on mass made things that anyone can get a hold of? I personally don’t sell on eBay anymore – please watch the FREE Amazon video I have on this blog (get it via the opt-in form at the top of this page) and there I explain my take on all this situation. Your blog is really really helpful and I know because I am googling lots lately to educate myself in dropshipping. My question is : I live in Canada and wondering if I can buy from Aliexpress then get supplier to dropship to the US market too. Is that possible or I am restrict only to the Canada market. Also would not it takes a long time to dropship from China to say US and the buyers would find out it does not come from Canada but China. Awaiting your reply and thanking you in advance. Yes, of course you can dropship from Aliexpress to the USA or any other country in the World you want! And yes, it will be a long delivery time between 2-4 weeks, which in my opinion makes this whole concept very risky. Hi Andrew! Such a great blog filled with quality information to be read! One thing that i am unsure of is that does the products that we are selling have to be of the same niche? Thanks! Really great blog thank you! – the target price column – is this the price I’m trying to sell at to my customers or the target price I’d hope to be able to buy it from China etc? – even if I find a niche product with a minimal amount of other sellers, if I’m not on page 1 of eBay will my product even get seen and be able to sell? If it’s unlikely then how do you get on the first page on eBay?? For this spreadsheet, target price is the BUYING target price, yes. will the above research methodology work just as well for those looking to start a profitable dropshipping ebay business? I presume it is more or less the same aside from the storage costs? Also, as the USA site clearly seems to be the most profitable, is it possible for a UK-based seller to sell and import items to the USA or does this complicate things legally? I’m just in the initial planning stages of this at the moment so I have no knowledge of the legal/official side of operating an ebay business, just wondering if you might be able to help by advising me on the above? Yes, it will. If you keep stock in the USA, you have to deal with sales tax, registering NEXUS in states you held stock, which is a rather complex issue. If you’re new to all this, just stick with the local, UK market for now. Gotcha. Thanks for the reply. I was hoping to dropship rather than hold my own stock as it requires less set-up costs and I was hoping for a side-earner that didn’t require a lot of initial monetary investment but I guess that was always going to be too good to be true. I’ll have a look through the article. Thanks! You really need to put effort into this if you want to make it work. There are so many people out there competing for same thing – only ones who put extra work into, gets rewarded. I am trying to use your market research method, and thus just opened a terapeak account yesterday. I am currently trying you method to build an ebay business and working toward my TRS account, but with such low figures, I am wondering whether to bother at all. I think it’s because eBay is simply not that popular in France + many people there shop on eBay.co.uk and eBay.com (in same way people in Ireland prefer to use eBay.co.uk instead of eBay.ie). You could also try searching for same products on eBay.fr BUT in ENGLISH and see what comes up! Thanks for the information. I registered two days ago and have done some research. But the information I found on the Terapeak is different from what I searched manually on the eBay’s website. The numbers on Terapeak seems to be too small. I used the same filter conditions: same condition: New, same time frame: from May 14 to June 12 and same category: pet supplies>small animal supplies>exercise & toys. sellers per day is 0. But in my manual research, I found the sell through rate was 84% (64 completed and 54 sold). I just added up a few sales and the total sales were already larger than the Terapeak number. There were sales every day and there were certainly more than 1 seller everyday. The same thing happened to other product researches as well. But if I clicked “Canada Only” button, the completed listings and sold listings all reduced to 0. But I already used eBay.ca, what’s the point of setting “Canada Only”? I’m selling on eBay.ca, not in Canada. On eBay.ca, there are sellers from all over the world and I’m going to compete with all of them, not only the sellers from Canada. Can you help me getting that clear? Thank you. This is because eBay shows way more listings in search results than Terapeak does. Terapeak shows/uses data for all listings containing search phrase/keywords you have provided – in your example – hamster ladder. eBay on the other hand will also show listings THEY THINK are related to product you are looking for. This will include listings with different keywords too or ones with partial keywords. This listing title only has word HAMSTER in the title, but not LADDER. Terapeak won’t show this listing. What you can do to fix this situation is to use QUOTES when you do search on ebay, so in your example, search for “hamster ladder”. This should show results for listings with both keywords included in the listing title. Thanks a lot. The information is very useful! Would it be possible for a beginner to ramp up to $100k net profit in a year if they were to start selling on eBay today? Not new to selling items online casually or understanding the concepts you explain but simply new to selling on eBay full time to make a living out of it. I’m curious to hear your thoughts on the opportunity as of today on eBay. Thank you! Yes, with right products, knowledge, right amount of capital (it can’t be done if you start with just few thousand) it can be done, of course, why not! Happens all the time, especially on eBay.com (USA site). When you use terapeak do you narrow the website sold on bit down to ebay.co.uk or leave it blank? You’ll get different results on various eBay sites, so don’t leave it blank. The “dog tags” has 53% sell through, 49 sellers per day and 1200 sales per seller. Which keyword’s results should I use as a benchmark, because I have narrowed down the category already to the right sub-category. They both are very close to each other Simon so you can use both. Usually I go with one that shows most Total Sales as that will probably cover larger proportion of listings. Andrew have only just started to use terapeak, but looking through the videos on youtube, it has been changed significantly. Will this change the effectiveness of it and will you be doing an updated article. Personally I think it’s a bit academic because you can’t use anything else, also you can still find the top seller’s names if you need to. I think you’re mixing up something here – the screen shots used in this article are from the latest/current Terapeak version. There are some minor changes but nothing that changes effectiveness of material covered here. Hi Andrew!! Great blog! I do have one quick question though. I decided to get a free trial membership with Terapeak. I played around with it for a while, and the main function (sell through rate) seems to be missing from research option completely. Im guessing that you have to get a membership in order to enjoy the data you are talking about? And anybody else that might have gotten confused!! I take back my comment entirely. There seems to be an additional option (research 2.0) that is now live. That is what i have been using, and it doesnt give you the full spectrum of information. Regular “research” function works just as described! Thanks for this information, I spent weeks just studying your blogs prior to starting my Terapeak trial. So, struggling to find that item to kick start a business. As my buying power is not huge to start with and I dont want to take risks with my first China imports, I am crossing off those items with 100+ sellers per day as you suggest. The best I have found (in my opinion) is an item with a sell through rate of around 80% and total sales in 30 days amounts to 39K. However sales per seller falls below your recommendation of 1k (it’s around £700). Sellers per day is 51. Would you disregard such an item? I guess this is the difficult part, as surely in 2017 most niches are going to have competition. This item would be fairly small, light so seems a good pick for a first order. I guess I would have more confidence if it ticked every box. But would I be able to compete with such an item given that there are already people selling lots who have all the power seller status etc and I don’t? Found other items at 90%+ sell through rate but sales per seller down at £300 or so. 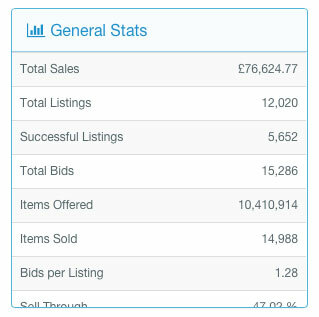 So basically the difficulty seems to be finding an item with under 100 competing sellers per day and the sales per seller over £1k. Gone through hundreds of items so far. I can see that it can be done, but it seems that in every niche there are already people “set up” whom it would be very difficult to compete with. I am going to stick with it, I mean I would be happy to start very small even making say £50 a month and build from there. Something I have done for years (not related to the above) is buy things here in the UK to sell on Ebay. Obviously these items are not always available but occasionally you can get real bargains in store and then sell on Ebay for a profit. The actual ROI can be much higher with such items, but the downside is that the item is not always available to buy at such a cheap price (and you have to have pre-knowledge of what you could sell it for). An example of recent is a kids toy, which I bought in a Supermarket for £6, which sold for £20 + postage on Ebay. These numbers/figures I give – these are only guidelines! You don’t have to stick to them 100%! You always make final decision by checking manually eBay first page search results, see if you can compete with current offers, is there a profit to be made etc. £700 per seller is not a deal breaker really. If you see that you can source the product cheap enough and make money selling it, it’s not a problem. I would rather pick an item with smaller competition (less sellers per day), than to worry about the sales per seller number. I’m thinking of jumping into the fire, but before that I was just wondering, if someone here wanted to share a quality, legit and reliable source so the same can jump-start first sales. Thank you. On these websites you can pay with a credit card and get buyer protection too. This is such a great blog post! Thank you. I have a quick question if you have the time – do I need insurance? If, for example, I sell baby products. What would be your advice? Does your program applicable to Asian countries? Yes, my EAB course works Worldwide. After using the search on Terapeak the sell through rate always shows up as 100%. Hope you can help, thanks. Make sure you don’t use Seller country filter. I have run very successful EBAY sales ventures on a few occasions while living away from home for work and having nothing to do in the evenings. These plus the income from the business consultancy work I do means I can work 4 months a year and have 8 at home doing nothing but enjoying the family. I did roughly calculate that if I did the EBAY work 40 hrs a week full time I would be making north of £200,000 per year in profits so I think I am qualified to comment on your article. 1. How will the stock arrive? Do I need to take time off to wait in or to go to a depot or customs warehouse to collect or can it be delivered in my absence. When considering the full cost of sales for an item I allow for the costs to me in time and expense involved in this. 2. How will I store the stock? As I have always had limited storage space I have to look at stock value/projected margin per unit volume of storage space and factor this into my item selection. For instance 6 new washing machines may only cost me £120 each and have 100% margin potential and a likely turnover of 2 per week but they would completely fill my available storage. As such if I took them my maximum profit per week, for the 8 hrs or so I would work, would be £240. If I filled some of the same space with high end sextoys and clothing (I have made a great deal out of such) I can store potentially hundreds of units that though only on a 50% margin will generate maybe £800 in profit in the same week. Basically making best use of a scarce resource. 3. “Handling time” is also a scarce resource and has to be considered in ranging. I originally sold racing bike parts including wheels but it could take half an hour or more to wrap and tape up a wheel as it would not go in easily available packaging. Each wheel did make a good margin but if I looked at what I could make in the half hour I could do much better popping sextoys and lingerie etc into Jiffy bags for posting. The other part of handling time is shipping. Whether taking the items to a Post Office or waiting in for a courier, its all time and time has value and is limited. Items I could drop into pillar boxes had the lowest cost here and those that required a courier collection the highest. Factoring in processing time and shipping time against income per unit sold is vital or people will be busy fools spending an age to earn pennies. 4. This one is at odds with some of the above but balancing it and them helps get a good business operation. The issue is packaging and shipping costs. These costs are not linked to the value or size and weight of items in a linear way. The cost of wrapping and sending an item is not twice the cost of sending one half the size/weight and there is no relation between value and shipping costs. So selling lots of small/cheap items will incur a lot more expense than selling a small number of larger (higher margin) items. Some may think this is irrelevant as surely the buyer pays postage so its not a factor? This is wrong. Increasingly EBAY tries to make the seller offer free shipping so the cost has to be built into the selling price. If I sell a tennis ball worth £1 I have to quadruple the cost to the seller to cover the £3 postage or more likely build in £2.50 for shipping and take a hit on the margin! If I sell a real leather and cork cricket ball for £25 the postage is still only £3 and I can over recover this from the buyer easily. Bottom line is that you cant just say margin per item*sales volume is the only factor in deciding what to range. Hi I have just read this article and found it very useful. but my main problem is where do I buy from in order to sell the items? With most items (un-branded or your own brand items) you want to buy them from China so Alibaba.com is a great place to start your research for suppliers. No, not all products need to qualify. That’s why we do this research to find best products and sell those, with most potential. Hi Andrew, I have 255 Positive Feedback, I want to start selling £25 – £50 Profit margins. What Product will be the best to start with. That’s why I put together this post – so that you can start working on proper research and find those products. No one will give them on plate, just like that. I would like to know if you can make money with only a small budget for example £25. This would be very helpful for me. Hi – good article however why China, why not use drop shipping and then no need for a large outgoing before you can sell if you have a small budget. Great post,Andrew! May I know if your “Easy Auction Business” program is good for USA sellers as well? I want to make sure of your program is solely for UK sellers OR Does it apply to other International Ebay sellers (e.g USA,Canada etc) as well? I would eagerly wait for your response.Thanks! Yes, absolutely! EAB course works in the USA, just like in UK, Canada, Australia and many other countries around the World. I have hundreds of customers based in the US. I am from India, would like to start ebay store. Could I research using Terapeak in India. I mean, ebay.in included in terapeak or not. No, eBay.in is not included in Terapeak. Do you recommend anything other than Terapeak ? Their reviews are horrible on the web. There are no real alternatives to Terapeak. I really don’t know where those horrible reviews are coming from as I and thousands of my customers have been using Terapeak for many years now and don’t have any problem with it. great tutorial how much is EAB please ? EAB course costs £67. That’s a one time fee for lifetime access, including all bonuses. I have read about your EBay guide, I am very interested in purchasing this, how do I do this, also what’s the cost of this? once I know this I will purchase your guide, looking forward to reading some tips from an expert. Also I have never sold on eBay do you think that I could be successful trading on eBay, if so what products would you recommend selling to start with, thanks. I have replied to your support ticket and answered questions there. Thank you for taking the time to offer your wisdom! Go for it or no go? if it’s a viable product or not. This is a really helpful, clear and informative post, thank you. I wonder if you could help me? I currently own a recruitment business along with my business partner (just the two of us) but quite frankly I’ve had enough of speaking with people all day long – it’s very stressful. Back office suits my personality a lot more than being client facing so an ebay business is very appealing to me. Anyway, I’d like t to sell my shares in January 2017 and should have approx. £50K to take away with me. Of course I’ll follow all your steps and do my own research (I love research) but considering I’ll have £50K (some of which I’ll need to live on from month to month/mortgage etc), would you generally recommend buying higher-priced products with a high ROI or larger quantities of lower priced products? Both my partner and I would like to start an Ebay business together as a full time business (taking it seriously) and it would therefore be our only source of income (bearing in mind I’ll have some money in the bank for back up). Is there any advice you have for me taking in to consideration my situation and plans? With a budget of £50k, you definitely want to look in items in £20+ price range. You will be able to buy such items in true bulk and make more money on each sale. It totally depends on what you find of course, it could be even £100+ items. If you have storage space, you can also consider bulkier items, which usually attracts less competition. I’d like to start by thanking you for the invaluable information you provide in regards to eBay via your blog, products and services you offer. I have purchased the Easy Auction Business video course and found the information extremely helpful. Could you please advise me on the best place to source products for a custom t-shirt business. I don’t sew or make clothes and would require this to be done for me. Was also thinking going the China route would not be practible due to the timing factor, in terms of receiving the custom orders, processing and having them delivered. Thanks for your comment & EAB purchase. Sorry, are you looking for companies that make custom t-shirts? Or looking for blank t-shirts you’ll print on? Or company that provides blank t-shirts and printing service? Thanks for replying me. I just submitted a ticket in regards to this as I had to go in a little more detail. Thanks for this advise and information. When I select ebay.co,uk in the research feature it shows average price in US dollar, how do I get it to show prices in £? This is amazing article. Actually what got me started! I have managed to source products and even negotiate for lower moqs. But hopefully when I come to shipping large orders by sea, say by cnf to UK port… how when and where do i get a clearing agent ?? I think this is all I need to know! Also I spoke to UK freight forwarder that said I needed to fill in a form on the inland revenue site…. Do I need to do this? Thanks again! Hope for your reply! If you use a freight forwarder, such as Woodland Global, you don’t have to worry about any of that stuff as they will do it all for you – clear goods through customs and deliver to your door. Not sure what form they’re referring to, sorry. Terapeak is a little expensive for me right now.Is there a free site to get this information? No, I’m afraid there are no free tools that offer same or even similar functionality. I signed up for the Terapeak free trail and used the program and , I’m not interested in keeping this program. How do you cancel the free trail, so the company will not charge my credit card. I tried to find this information on the website, but couldn’t find it. Thank you in advance for your assistance. Thanks fot all the interesting information. Can you assist me with Terapeak? I just wanted to know if I should sign up for the SEO Pro or the Proffesional version. Also, what is the difference between the two? Thanks! The PRO version is basically the standard one you would want to get to follow all my guides and do FULL eBay research. Thanks a lot for sharing this blog with us. It’s really helpful and resourceful! I was always skeptical about starting my business on eBay as I wasn’t quite sure of what steps I needed to take. I would much appreciate if you could help me with a few more queries. -Given the fact that Brexit has happened. Does this change the game of international trading deals, would it mean the VAT would be higher? -Are there ways of automating the supply distributions to the customers from warehouses? Like is it worth the extent of effort in wrapping up and posting the items to e.g. 2000 customers buying the tattoos for 1.99? You sure will have a decent sell-through rate but there is a lot of commitment involved to post/dispatch the items. Or does the wholesale supplier pack the items so that they are already wrapped and ready to dispatch? Would it be possible to branch out to Europe and/or potentially the USA. Or wouldn’t it be worth it because of the posting fees? -What are your thoughts about branching out to Amazon? I heard a lot about Amazon being somewhat better than eBay, but how do they differ? I heard that the GUI (interface) of Amazon attracts more customers, therefore is it a good consideration to venture to Amazon? 1) Brexit – we don’t know how it will all work Matt. We haven’t even started official talks with EU, not talking about negotiating any Free Trade and good movements agreements. We just have to wait and see how the whole situation progresses. 2) If you sell lots of cheap products, you simply have to have a very good warehousing/order picking system in place. A system like Linnworks is perfect for you as when you integrate it with barcode scanner, it’s quick & easy to pick/process large number of items in short period of time PLUS it minimises mistakes to minimum, due to fact that every item/order/label needs to be scanned. If you sell singles only, of course you can have agreements in place with manufacturer that they say already pre-pack all items in envelopes for you (in case of tatoos for example). Only thing, this could mean higher shipping costs from China. 3) Yes, of course! Europe is a massive market and with many countries having limited choice of online shops, so they’re perfect for UK sellers. Many European customers shop on eBay UK, Amazon UK so if the product is small in size, cheap to ship (below 2kg so it goes via Rm Airmail), you should definitely sell to Europe too. USA is a different story though – usually most products are cheaper there + shipping to the US is usually expensive. So unless you sell something that isn’t easily available there, it’s not worth it really. 4) Again, Amazon is another great channel to expand your target audience. I always recommend selling on both places – eBay & Amazon. Thanks for this information, it has given me a good start with looking into starting up my own ebay business. I am using terapeak now to do research on my items, do I have to keep the ‘Product Research’ on ‘Ebay.com’ ? I will be planning to sell only on Ebay.co.uk as I am in the UK. However, noticed through one of the comments below that you advise not to select the UK option when doing research….will i be getting accurate figures by searching with ‘ebay.com’ as opposed to ‘ebay.co.uk’ if i only plan to sell in the UK ? No, you want to do research using eBay.co.uk if you will sell on eBay UK. What I’m talking about in that comment is that you don’t want to use UK Seller filter option as that screws up results. Ebay.co.uk stated a total of 5026 listings!! Quite substantially different…making me concerned about the data showing up in terapeak and whether it is reliable. Can you please advise why this could be ? Am I missing something ? It’s because Terapeak shows data for all listings that use your search phrase in the listing title. On the other hand, when you do a search on eBay, it shows much broader results – with related keywords. That’s why this number is higher. If ebay is going to always show a broader range of results for those searching…(even though the item I’m looking at, under this particular category can only really be one thing/idea that people are looking for) …than the exact phrase I use in terapeak, how can I rely on Terapeaks data? Especially in this instance, where it looks to be a good selling item, yet I can see it already appears to be saturated in ebay. Thanks again. I hope you don’t feel I am trying to be awkward, I’m just concerned about investing money into stock using terapeaks data when I don’t understand the above. 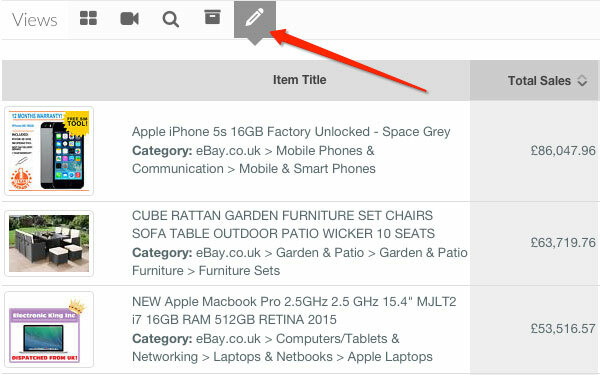 Look at it this way – eBay search works now similar to Google search – it includes related items/search results to your main search. Terapeak only gives results based on keywords used in listing title which is more accurate way of researching and analysing data. But looking on situation on eBay manually is always a good thing to do! I actually highly recommend you do this as only by manually checking out first page results, you can really get the feel of competition, prices, product specs etc. I was about to sign up for the free trial for Terapeak and decided to search for reviews first. I’ve been seeing many more terrible reviews than anything–especially the newer ones. People are complaining that it’s very slow and that the best features like Ebay Listing Optimization were removed recently. They also complain that when they try to cancel the free trial Terapeak doesn’t get back to them until 2 weeks later charges their card for the full year and says that they should have contacted them sooner. So people are saying that Terapeak is basically stealing their money and refusing to give a refund. I have made Terapeak aware of your displeasure and I have been informed that they will always address a cancellation/refund requests from the time it is submitted and not when they view it, therefore if the refund request fits within their policy they always honor it and process it as soon as they are able to. Listing Optimization removal was done so that it can be improved on, but more features will come in the near future to help those in need of improving their listings, like the new SEO feature. In my opinion, terapeak’s most important features are within the Research tools where you do product, competitor research. The brand new SEO tool is also very handy. Listing Optimisation tool wasn’t something I was personally using anyway. As for the service being slow – that can’t be true. With the latest version they launched last year, everything works SUPER FAST and even when you do product research for very popular products, it’s working very fast. So, I’ve quickly followed your steps and done a search on Terapeak for the first 4 items on my brainstorming list. They’ve each got a sell-through rate of 100%. Now I’m wondering what I’m doing wrong…. Do you use UK seller filter in Terapeak? Don’t use it as it will then show all sell through as 100%. Thanks for getting back to me – I’m not using any country filters!? Are you sure you’re not selecting UK sellers or UK buyers option? As that screws up data and shows 100% STR. You can test this – search for “phone case” – if it shows 100% STR, you’re doing something wrong. I had selected ebay.co.uk!!! Sorry for wasting your time. In Step 3 – Filters section, you have told to filter by 1) ‘Sell-through rate’ — to delete products with less than a 50% sell-through rate, 2) ‘Total Sales’ — less than £10k per month, 3) ‘Sales per seller’ — not less than £500 per seller per month & 4) ‘Sellers per day’ — to eliminate those that have 100+ competing sellers per day. You have stated these for UK market and in £ (i.e.GBP). I am selling in the US market. Could you please advice me what filters (in USD for currency) and parameters would be suitable to use for the US market. You can basically use same numbers as exchange rate is very close now for $/£. Don’t forget that this is just first step to quickly see which products carry most potential. You still need to do manual research, competitor research to see the real story. I know this sounds like a stupid question, but is eBay not too saturated now? I am usually very good at research and so I don’t mind putting the effort in, but I worry that it may be in vain! Have you had any people confirm that they found profitable new products in the last 6 months that they have made a success of? Also, it it better to brainstorm ideas around things you have a natural interest in or knowledge of? There are still plenty of profitable products out there. I know this 100% as I work every day with my EAB & 60DBP customers. Yes, it always helps to work with products you have interest/knowledge in but that shouldn’t limit your choice as per se. Thanks for updating this guide. I’ve been working on this off and on since last Autumn and I was just about to sign up to Terapeak when I noticed this update, so thank you! I have 500+ products written down (I’ve been taking my time!) I just wondered about Step 2, would you still recommend using a ‘Buying power needed’ column? Thanks for all your hard work. Yes, I still recommend filling it out but as I explain in the guide, don’t simply delete products from your list because of BUYING POWER only. Unless the figure is totally off (like your budget is £1k and you get £10k in Buying Power number). You’ll get exact prices when you contact suppliers and then you can see whatever that product suits your buying power or not. this is a great piece of knowledge …thank you. I got different STR % for each keyword! How could this effect the product sourcing decision? Second Keyword – 35% STR ! You want to do this research for EACH product, and not niche as whole. Then you can decide whatever that niche is good or not – you can always just sell products with good numbers in that niche and avoid “bad ones”. It’s because then you research specific item/title which will show different results. To gather overall market data, you don’t need to click on any specific listings – just use general numbers across all listings/products. I’ve been looking into research tools for product sourcing on eBay and I’ve come across one called Tamebay and would like to know if you’re familiar with it and if so is it any good for product sourcing purposes? Sure, I’m aware of Tamebay. But what you mean by “good for product sourcing purposes”? Just to clarify about “target price” in step 2: you’re searching eBay for *active* listings, BIN, TRS correct? Say you find 20 of the 50 results are TRS, then you just grab a calculator and average the BIN prices, taking into account things such as one listing may contain 3 units (for example tire cleaner)? Thanks, great blog! There’s no automated way of finding that target price really – this is where common sense, manual research gets involved. What you want to do is manually check first page listings on search and just look at “the whole Picture” to see at what price your specific product quality, features, branding, listing presentation can fit in. Usually it’s around mid-page results – not cheapest and not most expensive listings. Could this also work for if I do drop shipping? Dropshipping on eBay is almost impossible to do. Ok…you state that drop shipping is almost impossible to do on eBay. Well, please explain the results of seller: ” ezhome improvement”. This cat is a US seller who uses drop shipping arbitrage. He goes to sites like Lowes , Home Depot and Walmart etc, finds a product with free shipping, then jacks the price by 1.40%. His target audience includes 40% global buyers and those who don’t shop based on price. Looking at his ebay sold listings, shows 287 results. He makes on average $10-20$ per sale profit which is not a bad chunk of change. That’s just on one of his stores that he has on ebay. He has other stores on ebay as well. So there are many ways to make money on ebay….you just have to think outside the box. Yes, this is why I always say that dropshipping can work in the US, but not so in UK. Of course, there are ways to make it work in UK too, especially with targeting EU customers like you explain but this is actually more like retail arbitrage and not classical dropshipping model. The problem in UK we have is that there are almost no good dropshipping companies to start with, unlike in the US where you have thousands of dropshippers, wholesalers who are happy to do dropshipping etc. Firstly I would like to thank you for this article!! I have come across other popular Ecommerce blog posts and webinars and this one is up there with the most thorough and informative. So after following your guide I compiled a list of 400+ items as I am committed to being successful in this venture. It was painfully long and at times a tedious process. I have now managed to whittle down the list to 10 however I am now struggling to decide which item to choose to sell and potentially brand if all goes well. Do you have any hints or tips which could help me make a final decision ? That’s all put in one sentence. Thank you for the very detailed and informative article you have written. I have been thinking of starting my own eBay business and this article has helped greatly and is very much appreciated. I just searched a couple of products on product search and it says that the number of sellers is 0 yet there is a figure for total sales. I checked the filters and I have the filter on item NEW applied. Please could you shed some light on this? Is it for 30 days? Give me an example product so I can check it for you. Hello Andrew, I have brought your dvd nearly a week ago but I have still not got it though the post. I’m very excited about this so sorry to bother you. Plus I have been stung before so I’m a little apprehensive. Please can you let me no what to do? Please get in touch with me via Helpdesk. And I will look into it asap! Hello again, thank you for your reply and I’m sorry to be a pain. But I used that way on Sunday as well. I’m just like a kid in a toy shop at the mo. I love 6he way you take time to show and talk to people. Just to see them do better than they currently are. A true gent! Please check your junk mail/spam folder. Hey Andrew it’s not in any folder? Please can you send it again. So I’ve been doing some research – and I really can’t find the item I’m wanting to sell on eBay. I can find similar items, and the Terapeak research on these items are borderline acceptable. I’ve also noticed that a lot of the similar items are individual selling on gifts/unopened packages, rather than items they have imported, which perhaps skews the data. All of this combined, I’m not really sure the best way forward – is it just a huge risk, or is the fact that I can’t find this item for sale actually quite promising? (Or both, haha). Terapeak is just a tool to get market data but of course it can also be used to find profitable products to sell (by using hot products/categories feature, best selling listings, analysing competitors etc. etc.). Fantastic article and great site its awesome!! Andrew would you go though these very same steps to find and research products to sell on Amazon also ? Would there be any differences to the steps if you where doing this to find products to sell on Amazon and their FBA program ? And how is Terapeak`s Amazon research power have you had the need/chance to try it ? You can def. use Terapeak and eBay data to find potentially good products to sell on Amazon too BUT you will also want to do some more manual research on Amazon itself, once you have a product list on hand. To see just from first page search results how popular these products are, what kind of reviews they get etc. Terapeak’s Amazon research function is quite limited, as Amazon does not share all data with it like eBay does. You basically just see overview of average price, how many listings there are for each products and some other basic information. Def. not as extensive as eBay side. Thanks for the reply, I`m interested in picking up your video course but wanted to ask you a quick question. I am a single guy who loves to travel and its my goal to be able to travel and work on a laptop and this is why I originally I asked if the above would work on Amazons FBA, Can I ask is there a way to sell on Ebay too while traveling or not being at home in the UK ? Do you have a way to do this in your course ? Yes, you can do this by using same FBA! or any other order fulfilment company for that matter. Not sure I understand, Do you teach how to make money on Ebay without being at a fixed address ie traveling ? I was kind of asking you if its possible to use the above formula to work with Ebay but at the same time I`ll be in another country. My course is not specifically made around situation like this BUT yes, I do cover these things in my course too, so you can still achieve your goal of travelling and having a business. Yes, there are many other fulfilment companies out there besides Amazon. I live myself in the Netherlands, where ebay.nl is a dead-end (almost no-one uses it), and the shipping costs are very high. Check out my guide on How to Compete with Chinese sellers on eBay! Hi Andrew, Thank you for the detail in this article. I’m from South africa, and have been desperately researching options. Ebay and amazon are not successful in SA and we dont really have something that i think will work here in SA. Also our postal service is very delayed and unreliable and when i have ordered goods from china they took over 2 months! I was wondering if you think it will work if i buy and sell in the uk or usa? so perhaps sell single line items, marked up and sent directly from US suppliers or sellers. ie, i list a product for sale on ebay for 10 dollars (one listed on another site ie amazon For 7 dollars). when i get a buyer on ebay- i buy from seller on amazon and get them to ship directly to my buyer? if i deal in dollars this is better for me as well as our Rand is very poor at the moment. Do you have ANY advise for me? Desperately trying to make some money online! Thank you so much and really hoping to get a reply from you. On eBay it won’t work, sorry. Sooner or later you’ll get problems with wrong items sent to your customers or customers complaining about something you have no control over. Not talking about fact that technically dropshipping is against eBay rules. In your situation I would probably concentrate on SA, local market and start an online shop. I’m sure you can find a niche that has decent demand for products in SA and import them from China or maybe even branded products imported from USA. thank you so much for the reply Andrew!! really appreciate it! Was just an idea but im glad i mentioned it as i would hate to do anything against the rules. Will continue brainstorming and then some intense researching. Hi Andrew, as everyone else says, your information is great, and I am very appreciative of the thorough job that you do with all topics. Thanks again. I have been selling liquidation goods on ebay for about 4 years. My question is about the ROI (20-30%) which you seem to indicate is typical for new products. There is only one way to calculate ROI, correct? It’s (net profit / investment) * 100. And investment would include all expenses related to the product, getting the product, warehousing, etc. I am accustomed to seeing much higher ROIs on liquidation goods, however, the seller has to process each item individually, so it’s completely different in terms of time investment. In simple terms, for new products, if I invested $100,000, I could expect to see a $20,000-30,000 profit from this item. Have I considered this correctly or am I missing something? Yes, your calculations are right. It’s an approx. figure of course but something you can def. use in your calculations. And yes, with used goods, liquidation stock, ROI is usually higher but then down side is that you constantly have to look for new items, create listings etc. etc. compared to new products where you do same work just once and then sell hundreds and thousands of same item. Just wanted to say that the ‘Info’ you provide for Free on your Blog ‘dwarfs’ (in both Quality and Quantity) anything else I’ve ever come across about Trading on eBay, including most of the dozen or so (literally) Books I decided to purchase over the last few months, in order to decide if eBay is for me. You provide ‘enormous’ help and value and – assuming the info in your Paid Course exceeds the material you give away for Free on your Blog – then grabbing the course amounts to a ‘No Brainer’. I’ve challenged myself (by Mid-April 2015) to decide whether eBay is the Business Model for me. If I conclude it is, I won’t hesitate to buy your course, or to recommend your Blog. (Feel free to quote me in any Testimonials, but please withhold my Email Address). if im employed full time in uk and open self employment now 03/2015 what will happened? is anyone going to ask me about money i get payed before march 2015( taxman )?or just i have to keep all invoices from the date when i registered as business sole trade march 2015 ?im sorry if i confuse you with question and my english . so good webside .i will recommend to everyone . You just start recording all finances from the day you registered as sole trader and upgraded your eBay account to Business one. No one asks you to pay any taxes for used stuff, personal belongings you sold on eBay in previous years from your personal eBay account. Do you think this is worth investing in for the long term? Also, am I right in saying I should have £1,500 buying power since the average selling price is £15? I could save this up within a couple months. These items are around 50grams each, so would be good with shipping too I think. Thanks for all this valuable info. I also forgot to ask about a couple hong kong sellers who are selling £5 below the UK sellers. Do they usually pose a problem? Check out my post on How to compete with Chinese sellers on eBay! Yes, that Terapeak data looks spot on – a perfect example of a good product to get into. If you can get it from China at good, price that is. As for your buying power – yes, approx. you will need £1500 BUT best way to find this out is by simply contacting suppliers on Alibaba, get their prices and MOQs. It could be that you can get started with smaller amount than £1500. I actually found a 3 year gold supplier who quoted me just 100 items at a cheaper price than other suppliers who’s MOQ was 250 lol so it was definitely worth getting multiple quotes. I am new to ebay and have gone through lots of your websites and just subscribe to an ebay shop. My question is after subscribing i thought i would be able to list more items but after the basic subscription i can only list only 30 items a month instead of 100 which is written on the basic subscription. Yes, it’s probably because your have selling limits in place (opening shop automatically doesn’t increase them). But you should contact eBay and ask them to increase your limits.If you have positive feedbacks coming in, they should increase it for you. Do you suggest i give them a call and explain i have nothing to do with that account. You should def. do that. Call them as many times as needed – if your account was suspended in error, you should get it sorted out. What is a good place to buy REAL memory products like SD cards, then? That is my only hurdle. Depends on whatever you’re after un-branded OR branded memory products. For un-branded, China and Alibaba.com is the place to go! You just have to be very careful with who you deal with to receive genuine sized memory products. And stay away from any branded products. For branded memory products, you want to look for established UK/USA based wholesalers who deal with only genuine items. Hi Andrew, great informative post btw. I’m just having problems with best selling products filter. It just keeps leaving this message when i click on it. No Hot Products found for these parameters. Please check back later, perhaps there will be some then. Yes, for some reason this happens on eBay.co.uk (eBay.com works fine). Not sure why it is happening but I hope they fix the issue soon. Great help with your guides however I also have registered for the terapeak trial and keep getting the same messages as above! If you change to ebay.com, surely this skews your research for findings the best products to sell in the UK? I’m currently in contact with Terapeak to investigate this problem. Hopefully they can fix it soon. Thanks for the swift reply. Would you think it best to cancel the free trial and wait to pay for the subscription until these issues are resolved or will the trends remain broadly similar? I have to admit that I was hugely excited about getting into terapeak however felt somewhat deflated with all the various issues. I don’t want this to put me off my plans to build an ebay empire (hopefully!!! You have to think big). it’s just one function (within a function) that currently doesn’t work as it should be – everything else works. 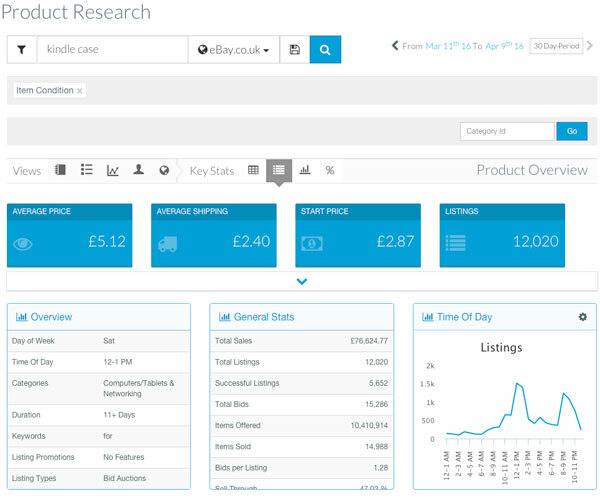 You can still do full product research, competitor research and other functions with no issues. Hot categories also work. really i like it… which way u explain it…. really Thanks for it..
i will go thought it and come back to you. Could you please define where this Hot research tool is? Hot research is located in Advanced Research functions tab. You mean the “trending now” opportunity ? Isn’t is possible that hot research tool is available for premium users? I have full account so yes, it could be that hot research is available only for Professional accounts. Just a couple of questions regarding product selection. A friend of mine has just bought a box full of USB powerbanks as samples from China. They are unbranded. When i saw that, i thought to myself, “this is definitely a bad sample…as i believe its already highly saturated with reputable brands.” In one of your earlier posts above, you mentioned about avoid getting bluerays as they are either fakes or scam. Does it apply to electronic and/or electric products from China as well ? If it’s an un-branded item, it can’t be fake by default (as by fakes we understand copied of BRANDED goods). Now, whatever you can sell them for profit on eBay, is a different question, one that I can’t answer for you right now. You have to look @ Terapeak data to see competition levels, your pricing, price you can potentially sell these off etc. Thanks a lot for this guide. It is incredibly detailed and I feel that almost every point is covered. Must be some kind of glitch @ their end. Will contact Terapeak soon if this continues. Thanks, please let us know. PS, is there any options on terapeak to show the sales in the same month last year etc, thought it would be good for checking seasonal products? yes, you can do that by setting a custom date range in search (click on date range – then > Custom). I’m sorry but you’re not right on this one. This is not eBay directly we’re talking about but Terapeak and how it works. Sell through rate in Terapeak stands for – percentage of listings returned by your search that actually resulted in a sale. For example, if ten listings were found by your search, and seven of them led to the sale of at least one item, the sell-through rate would be shown as 70 percent. Many have said it and I will too. This is one great piece of work. Hope I had found it earlier. I started out on ebay.com in May 2014 but was suspended indefinitely barely a month later. No reason was given, had not even sold a thing. Had only listed three items out the 10 for starters. Tried asking them to allow me to list the full 10 products or Usd 500 worth but they ended up suspending me. I want to try your EAB elsewhere for now. Which is the next best ebay wannabe out there? Next best platform in my opinion is Amazon, and your own eCommerce shop of course. Thanks. Unfortunately Amazon does not allow sellers from Africa. Will try online shop. I have gone through your advice on several issues and you are very spot on. By the way can you do one-to-one mentoring for just a month? Please get in touch with me via my help desk. At this stage I’m researching the possibility of starting an eBay business, so as you can imagine, I’m spending a lot of time reading blogs such as this, which is very informative I must add, so thank you. I have no experience in this and it is a bit concerning, so I just have a couple of questions to ask, before I plunge in and buy your EAB video’s, if I may? 1.I’m not quite sure how to ask this question without it sounding challenging, as that is not my intention, so forgive me if that is how it appears. But in this blog you explain the process module, from start to finish, in detail where ultimately we would then find suppliers/prices in China, so that we can sell products on eBay. You mention using Alibaba for products and suppliers etc. Then below this blog you are promoting your EAB video’s, where in your sales ‘pitch’ the tone seems to be about avoiding dealing with scammers in Asia, etc. In your EAB video’s are you moving away from dealing with suppliers in China or is it more about avoiding the dodgy ones and finding creditable ones to work with? Basically, what I’m asking is: Are the EAB video’s inline with and substantiate what you have been explaining here, or is it completely different? (again I apologise if I sound challenging). 2. I live in France and I know, others have asked similar questions ie US and Aus, but I’m assuming what you are teaching here, can be applied where I live? Thanks for your comment & questions. 1) EAB course is absolutely in line with what I teach here, on my blog. IN the course I cover various product sourcing concepts but my #1 favourite still is importing from China. YES, in the course I teach you how to avoid scammers, fakes etc. and find only legit suppliers in China, safe to deal with. 2) Absolutely! EAB works in France just like in any other country around the World. Hope this helps Thomas & let me know if you have any further questions. Andrew, first of all I want to thank you for sharing so valuable information that to free :). I have been searching for “which I item sold most in austraia” and i found your website. This is first time I am reading you article and must admit it one of the best. Not only you have posted article but you have answered all the comments that is appreciable. I am from India and I want to sell product in Australia via Ebay. I have one friend in Australia who will do it for me. I just want to know is there is any search possible in terapeak where i can find the items popular and sold most in Australia only. YES! In Terapeak you can do same research on eBay Australia data. You’ll want to choose com.au version when signing up for Terapeak (on the pricing page). I have just started reading your blog and must admit it is nothing less than an encyclopedia for ebay selling. There is more information in 2 blog posts I have read than most books. Hats off to you.. I would like to start E-bay business.. but really dnt know to what product to sell… pls tell me what should i go abt selling..
Did you read the guide? The answer is in this post. Thanks for all of the great info. My only question is about buying from sellers who you have to pay shipping for. That will cut into your profit if you pay for both their shipping and your own (free shipping), so do youo just go about buying the items at an even lower price? Sorry, not sure what you mean – could you please explain your question in more detail? I would agree with everybody else. The information that you have shared here is extremely valuable. Thanks. I will definitely sign up to your EAB course. I assume that it’s relevant to Aussies and Kiwis and our local eBay market too? I also wanted to ask you your opinion of setting up Group Deals on eBay. To me, that looks to be the way to go. However, I am not sure if new eBay Sellers like myself can create a Group Deal without first achieving a number eBay sales milestones first. I’ve emailed eBay a few times but I’m having difficulty getting some clear guide lines from them on how to set a Group Deal up. Any comments on this would be greatly appreciated! Yes, my EAB course also works in Australia and most concepts can also be applied to other marketplaces similar to eBay. As for eBay daily deals – yes, you need to have an established, TRS account on eBay and prove eBay that you can handle massive number of orders. All these deals are manually approved so you’ll talk to eBay directly about these. Thanks for your reply. I guess daily deals and group deals are the same thing? BTW I bought your EAB video program yesterday afternoon. I like it very much. I’ve already learnt a lot. Once I have enough questions put together I’ll definitely be contacting you to use my free 1 hour chat online. I just noticed that you have a separate Group Deals on eBay Australia. We don’t have such Group Deals on eBay UK so I don’t really know how they work or how to get into them. We only have Daily Deals. Same applies to main eBay.com site. I plan to take the 1 month premium membership just to have a good look through the directories, I remember the electoral roll being mentioned on a page about eSources, do you need to be on the electoral roll at your current address to do business as a buyer on their website, or is it just sellers who do? Sorry, but I also won’t comment eSources publicly as they take any such comments offensive and once already they threatened me with legal action because of my opinion. So, no comments from me. It sounds like you live in the UK. I’m in the US. I would assume your advice applies to ebay.com in the US as it does in the UK. If so, I look forward to applying the knowledge you share with your readers in opening my ebay business in the near future. Yes, absolutely – in general, same principles and advice apply to eBay.com and any other regional eBay site, maybe with some minor differences. First of all thanks for the excellent article about choosing products. My question is: Is it better to choose a variety of good products but from different areas or focus on products that are in the same field and thereby build your branding. If you don’t create a niche business, it really doesn’t matter what kind of products you sell. IF you want to start a niche business, with a niche brand, your own shop later on etc., then yes – of course, you’ll want to sell only related products. These are two different business models. I just stumbled upon your site and you are providing some great information. Just wondered what you thought about using drop shippers vs. buying from China. I’m guessing there’s less of a profit with a drop shipper but is it still worth using a drop shipper if you’re just staring out and have limited cash? Check out this recent post where I cover dropshipping concept in detail. Hi Andrew, thanks for the guide! Do you think China still the best supplier? How does Brasil compare to China? Yes, I think China is still best for 90% of un-branded products out there. Hi again Andrew just have a quick question for you !! just wondered if you know of them at all?? That website sells 100% FAKE Blu Rays, stay away! You can’t get genuine Blu Rays from China – either you’ll get scammed or receive fakes, guaranteed. Just 1 question, is it best to place items as buy now or for people to bid? This has been answered in previous comments in detail, please check them out. I’ve gone through all of the comments here and I have not found where you spoke on “buy now” vs. auction. Do you mind copying and pasting it here for us to now see. Thanks! It depends on the competition for item you sell. If the competition is low, you can always just list as BINs. * If you have a TRS account, list them as BIN listings. * If you don’t have a TRS account, list them as auctions and/or auctions with BIN option. This way your listings will get a boost in search before they end. A great post Andrew, you always over deliver. Hello, First of all I want to say that you are just amazing with all the knowledge and information you give to help people so thanks! (basically use current exchange rate for GBP>USD). You can go to Preferences on the lefthand side up the top and change it to $. Just come across your website and I have to say you give more information away for free than many others charge for! Excellent work and thanks. I just have one query (for the moment! ); When researching products, how specific should you be? For example if i was looking at ‘wallets’, should i type this into terapeak or narrow it down to ‘men’s lethaer wallets’? Quite often this way you can find profitable products which from the initial/general research didn’t look that good. And that’s the beauty of using Terapeak – you can hand pick items with best numbers and sell only those! This way you can milk the cream by avoiding products that doesn’t sell that well. Hi Andrew i have been following your videos on youtube and all your advice !! i have quit my dead end job , and really want to give this ago , i want to sell dvd’s blu ray and ps3 and xbox games as i have alot knowledge on these items !! how much money do you think i need to get things going properly ??? i have been saving a fair bit from my past as was only on 6 month contract!!! for example do i need terapeak subscription ? i know need money for stock , subscription for esources? so basically how much do i need to get things moving??? The more money you can invest in stock, the better. I can’t tell you exactly how much you need as there are people starting out with 100 quid and there are people starting out with 10k, 30k and more. Yes, you’ll need to get Terapeak subscription. Apart from that, there’s only stock. You don’t need to subscribe to eSources or any other directories. 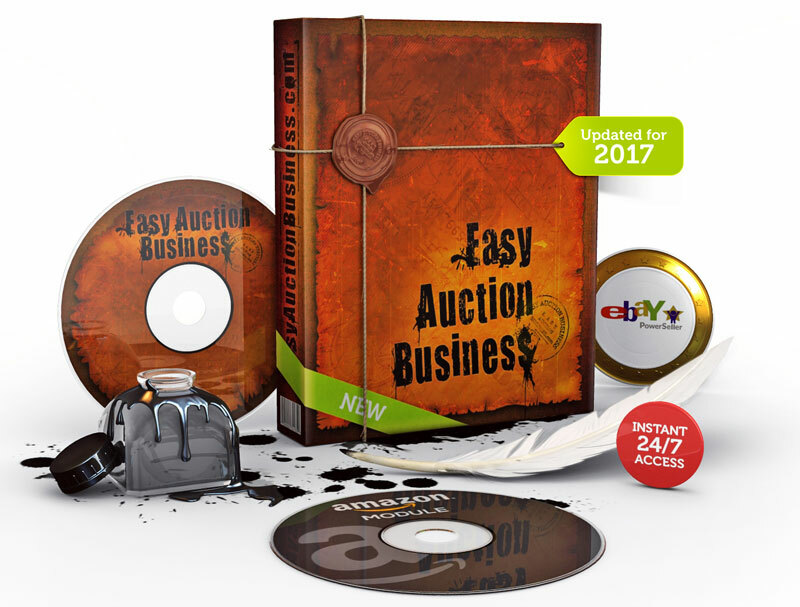 But if you want to learn ins and outs of starting a successful eBay business, I would recommend you getting my Easy Auction Business video course (67 pounds). With the purchase of EAB course you’ll also get free access to my Spicy Auction Templates. At the moment you don’t have to register for VAT and don’t even have to form a business. You can start trading and then register as sole trader within 3 months. i will be getting my terapeak subscription and your EAB video course next week when i get my final pay packet im owed !!! as my sales have been slow so far , but its early days ! When you say i dont need a directory subscription e.g Esources do you mean i should look for bargains on ebay to sell on for a profit instead?? are you saying its best to look on ebay for cheap dvd’s blu rays’s etc? What I’m saying is that you don’t have to pay for a wholesale directory – you can use Google, free directories, B2B sites to find suppliers. I cover all these sources in detail in my EAB course. i am looking forward to receiving and hopefully start making more money !! Thank you so much for this comprehensive and wonderful guide! As a new Ebay seller how can I compete with hundreds of others sellers that sell the same item with a high sell-through rate? If HUNDREDS of other sellers sell EXACTLY same item, it will be very difficult to compete if you have a brand new account. That’s why I recommend first getting at least 20-30 feedbacks and ideally – reach TRS status before you start selling your real money items. If competition is not that big, you can still stand out from the crowd by having great product pictures, listings, adding some bonuses and generally offering a better deal than others. That’s where my filters come in – we want to look for items that sell we’ll BUT at same time avoid items with high and very high competition. That’s why total sales, sales per seller and sellers per day (from Terapeak) are very important numbers to take into account. Super competitive niches are indeed waste of time as you will be lucky to get on top 50 search results, if close to that. Amazon’s fulfillment services are NOT reserved for Amazon’s marketplace only. You can store your goods with Amazon and sell anywhere you want – on eBay, Amazon, your own website etc. So that is really not a problem. Terapeak has a built in Amazon research too BUT unlike with eBay, where it shows data for completed listings giving the full pictures on what’s going on, with Amazon research Terapeak only pulls LIVE data/listings from Amazon to show real life info. So we can’t see as much as with eBay but it still helps to see competition, average prices and some other crucial information, all organized in a easy to use data. This guide is really good, I have your EAB course and this article very nicely condenses parts of it into an easily understandable piece. One question, I am using Terapeak, and noticed that the popular searches page has exactly the same keywords as yours does in this article, do you know how often Terapeak updates for this? Yes, I’m unsure about this myself. They just recently opened this feature for ALL accounts (previously you had to pay for it) so I haven’t monitored it extensively yet. It’s not live updating of course, could be that they update it once a week or even once a month. Really useful guide. I feel it has really helped me in an area that I was a bit uncertain about. I did run into the problem initially of Terapeak filters not working correctly with Google’s Chrome browser, however it did work fine with Internet Explorer. May just be worth others keeping an eye on, in case they think they’re refining their search when in fact nothing is happening. Maybe try updating it to latest version. But Thanks for sharing this, could help for others! It works well with Mozilla Firefox too. I haven’t extensively tested out Hammertap but from what I have seen,. Terapeak has more features and the whole interface is more professional. I’m sure both do the same job in essence but my personal preference is Terapeak. I’m using it for many years now and it’s very reliable and solid platform. Another great guide thanks for this. Just a warning though – I found that by applying the selling country filter, I ALWAYS get a sell through rate of 100% for absolutely anything I type. It turns out this is a known problem and Terapeak claim there is nothing they can do about it as they can only access data from sold items when this filter is applied!? So to get the STR I had to remove the country filter. Not sure if this is something you have encountered? Thanks for your comment and insight on UK seller filter. You’re right! I actually only spotted this filter doing this post and thought – what a great filter it was (I usually just use NEW filter only). But after some testing, it really does show 100% sell through rate, which means it’s useless at this time. hi ,andrew… thanks for sharing . Hi Andrew, great article as always. Does terapeak work well for finding popular niche items to sell on your own e-commerce site (not ebay)? Or is google keyword tool still the best way to find popular niche ideas? The google keyword tool has changed recently, so it’s not as easy to find new ideas using it as previous. Terapeak *can* be used to find products to sell on eCommerce shop too, yes. At the end of the day, what sells on eBay also sells well on other shops (in most cases). Yes, GKT has changed – now called Keyword Planner and I’m with you on this one – previously it was much better and easier to use. Still, GKT and trends are my primary research tool for finding eCommerce products/niches as those monthly searches are very important when you plan building a shop that will relay on search engine traffic. I have read many Market Research guides and even books but this is the perfect one! What makes this guide special is that all the steps are combined with each other in a system. I hope that you write a guide like this about “How to be in the first page on the search results in ebay” . I’ll put that one on the list for post ideas for year 2014, Thanks! Great to hear that Jim! Perfectly timed e-mail as not had a chance these past few weeks to get back in the groove. Got Terapeak membership over a month ago and overdosed initially with the research. Any product researched had a web shop selling loads of items which deflated my efforts. Back to basics with this info. The fact that same product can be bought online on eCommerce shops doesn’t mean you can’t sell it on eBay. Why are you making such assumption? eBay and eCommerce shops are two different Worlds, you don’t have to compare them…. Thanks for pointing this out. All fixed now. Sorry for bombing this comment but I have followed your strategy above and have come to realise isn’t there a slight problem re sell through rate as the number of listings does not necessarily mean the number of products? Therefore sell through can be skewed. Yes, many listings will have multiple items listed. 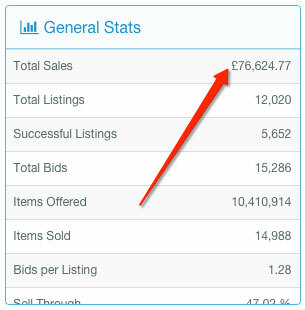 Still, sell through rate is quite accurate indicator as it shows how many listings end with at least one sale. Ive read your comments with immense interest, ready to start selling BUT I am finding the postage very prohibitive………..how is it that a lot of seller’s offer free pandp?? Does the post office offer a huge discount for multiple item’s sold per week?? I don’t understand how I can compete?? Yes, you can get a discount with a business account with RM BUT those discounts are not massive, no – unless you’re Amazon size company. Shipping cost is simply included in the product’s price, that’s it. And many sellers sell at loss to get new product going, to get feedbacks, to fix an account issue (performance), to get rid of old stock etc. etc.